Thank you Andris Kanins for posting on our Facebook page this great picture of CG exiting the hairpin in Montreal yesterday. Carlos was 10th in first practice, quite good for his first time on the track and the first time in the GT3 Cup in a competitive setting. 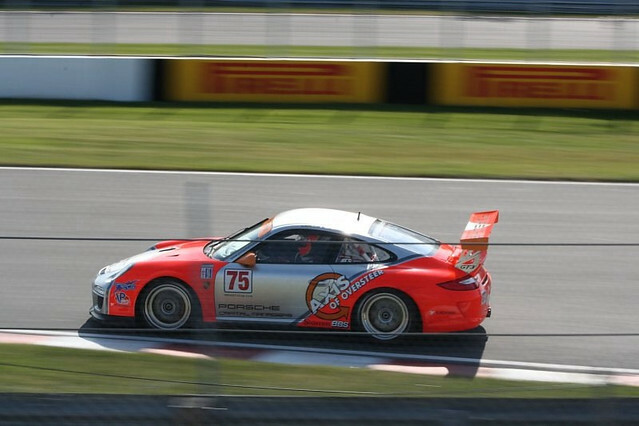 He reported some crazy driving in the ranks which turns out to have been the reason Porsche Cup has not been invited to the Canadian GP since '08, Apparently Bernie does not appreciate having his grass torn up and advertising banners ripped by the Superclowns. Drivers were warned at the briefing, let's see how it goes.